Wallace, Linda; Keil, Mark; Rai, Arun: Understanding software project risk – a cluster analysis; in: Information & Management, Vol. 42 (2004), pp. 115–125. Wallace et al. conducted a survey among 507 software project managers worldwide. 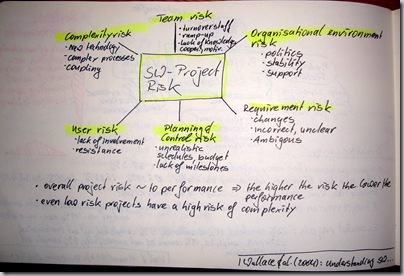 They tested a vast set of risks and tried to group these risks into 3 clusters of projects: high, medium, and low risk projects. Wallace et al. showed two interesting findings. Firstly, the overall project risk is directly correlated to the project performance – the higher the risk the lower the performance! 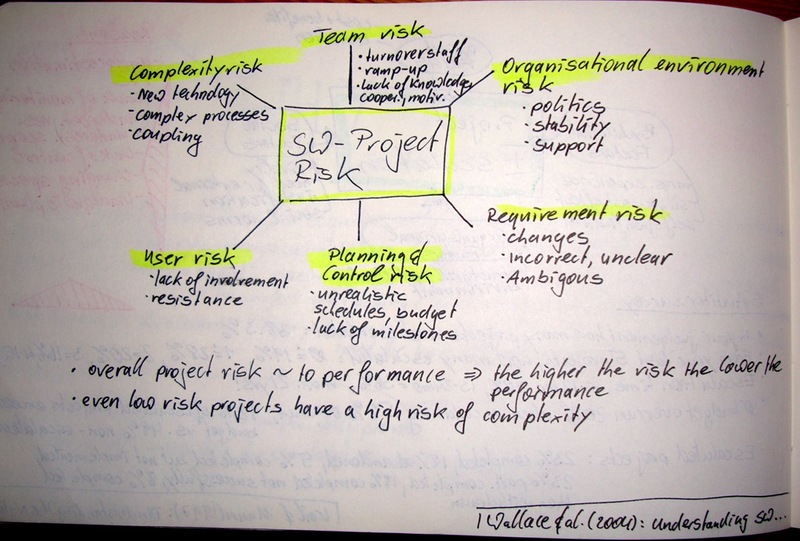 Secondly, they found that even low risk projects have a high complexity risk. This entry was posted on Mittwoch, Januar 14th, 2009 at 08:41 and is filed under IT Project, Planning, Risk Management, Software Development. You can follow any responses to this entry through the RSS 2.0 feed. You can leave a response, or trackback from your own site.